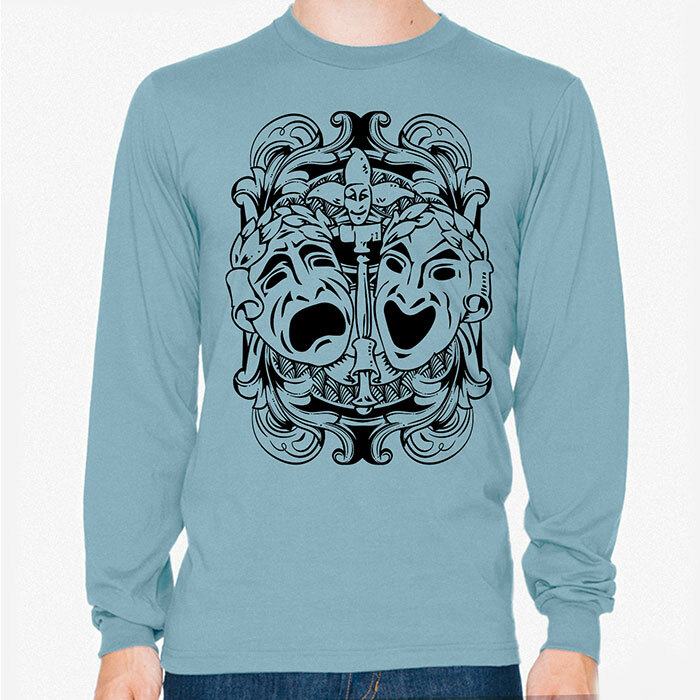 This long sleeve organic cotton t-shirt features a design and drawing of mine of a comedy and tragedy theatre mask. 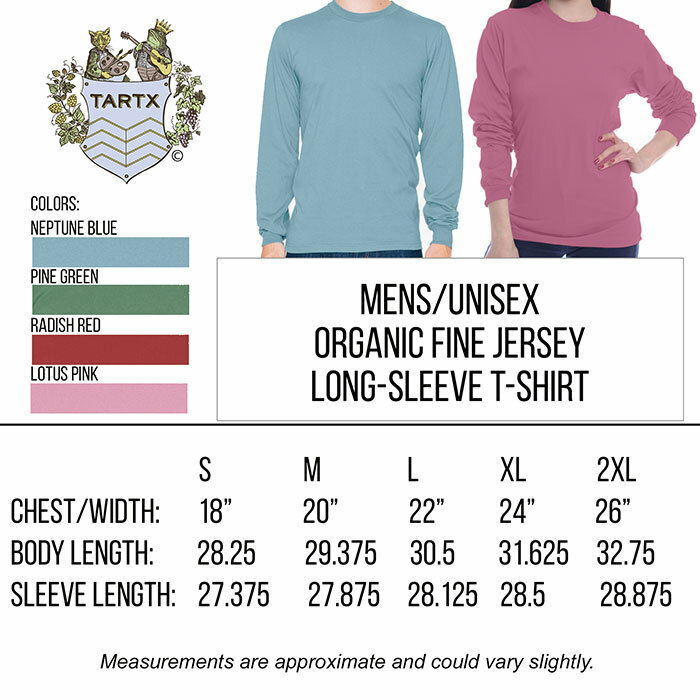 Color: radish red, neptune blue, lotus pink and pine green. 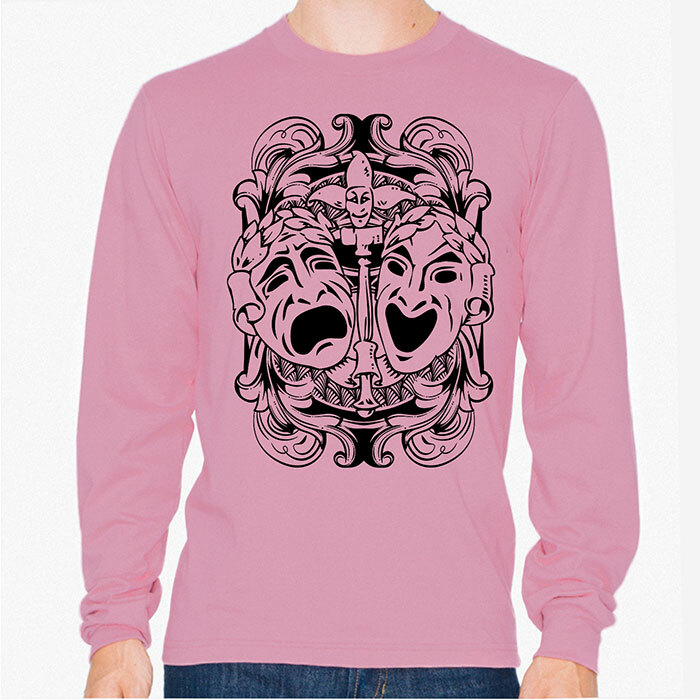 There is some discrepancy regarding the "origins" of the original comedy/tragedy masks in the incarnation we have on Tartx. Sometimes known as Janus Masks or Theater Masks. However, there is no debate as to the fact that masks have been donning the theatre for at least 2500 years. Some believe they are an homage to the Muses Melpomene and Thalia. Others believe the mask pays homage to Dionysus, the god of carnivals and masquerades allowing us to "free ourselves from secret desires and buried regrets". 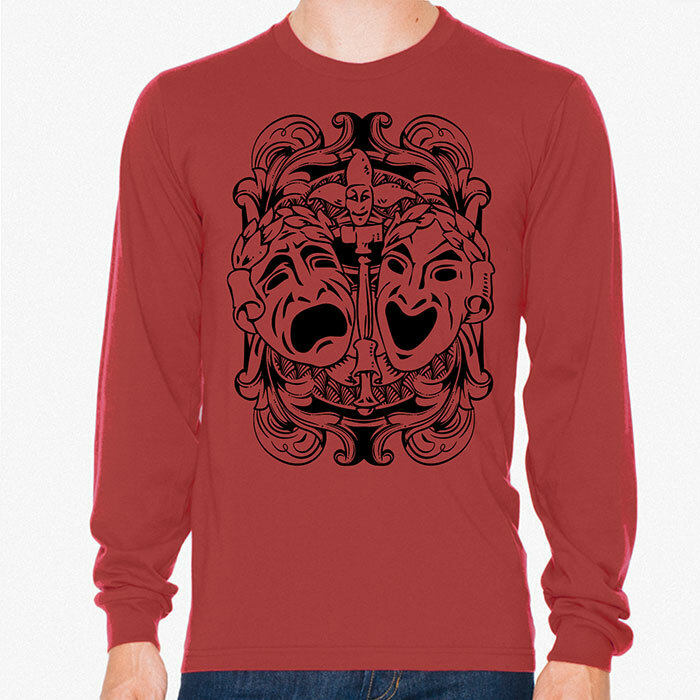 They now stand as a great universal symbol for drama and the theatre.